The painting “Burlak” (1870) is one of the works that preceded the appearance of the large-scale and famous canvas by Ilya Repin “Burlaks on the Volga”, a portrait of Canina’s haulers. For the first time, the artist became interested in the theme of the burlak trade in Petersburg, when, during one of the out-of-town walks along the Neva River, he saw sullen and tattered people pulling a barge along the river; Later, the artist recalled how he was horrified to see the unfortunate barge haulers harnessed to a strap instead of cattle. On the advice of a friend Repin, along with other artists went to the Volga to make a few drawings and learn more about the Volga burlachestve. In the vicinity of Samara, the artist found out where the burlatsk artel was usually located. 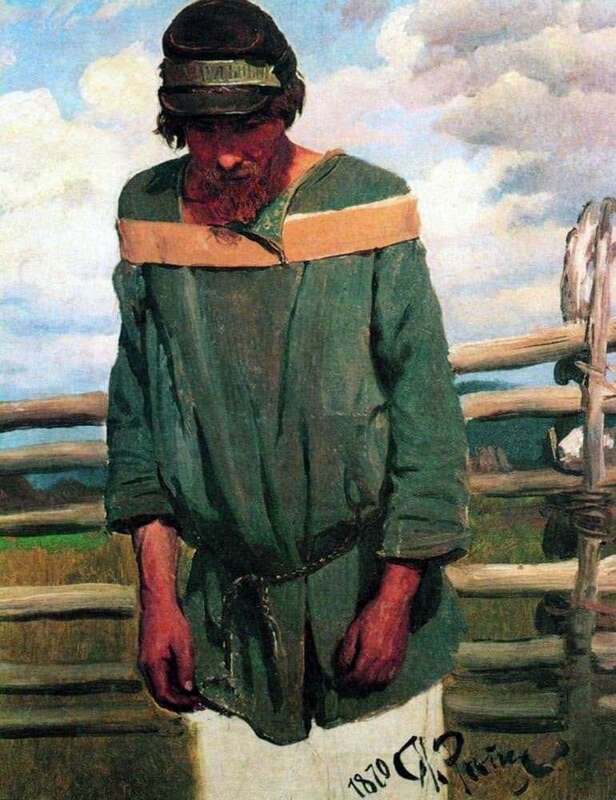 When he managed to get acquainted with each of the barge haulers separately, Repin began to realize that these were not cowardly and wordless creatures, but real people, strong, clever and courageous, worthy of respect. When Repin came up with the idea of ​​depicting them on a broad common canvas, the artist began to prepare for the performance of his main work, making numerous sketches, sketches, and sketches. The most famous of the paintings of this time, dedicated to barge haulers, is a portrait of a man named Kanin, whom the artist especially admired. For Repin, he was the personification of wisdom and almost a philosopher, as the painter himself pointed out. In his facial expressions, in his movements and in his speech, Repin saw the depth and great strength of the soul, trying to convey these features in the picture being created. Three years later, the main work was completed, depicting the work of the entire artel – eleven barge haulers with Kanin in the front row, pulling a bulky barge against the current.